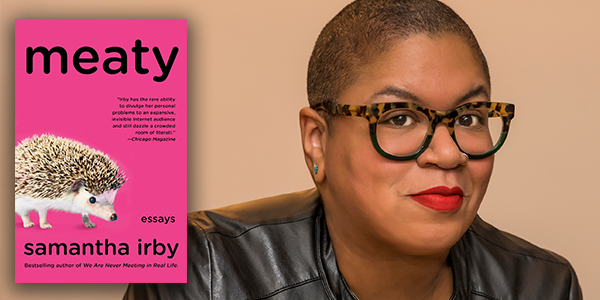 Irby takes our stage to present a reprint of her widely beloved collection of smart, edgy, and unabashedly raunchy personal essays—Meaty. She joins in conversation with writer Lindy West, author of Shrill: Notes from a Loud Woman and contributing opinion writer to The New York Times. Irby and West discuss this uproarious collection of essays crafted with the same scathing wit and poignant candor thousands of loyal readers have come to expect from Irby’s notoriously hilarious blog. Join Irby and West and laugh your way through these stories of failed relationships, taco feasts, bouts with Crohn’s disease, and more. This entry was posted on April 2, 2018 by Seattle Black Feminists in Uncategorized.